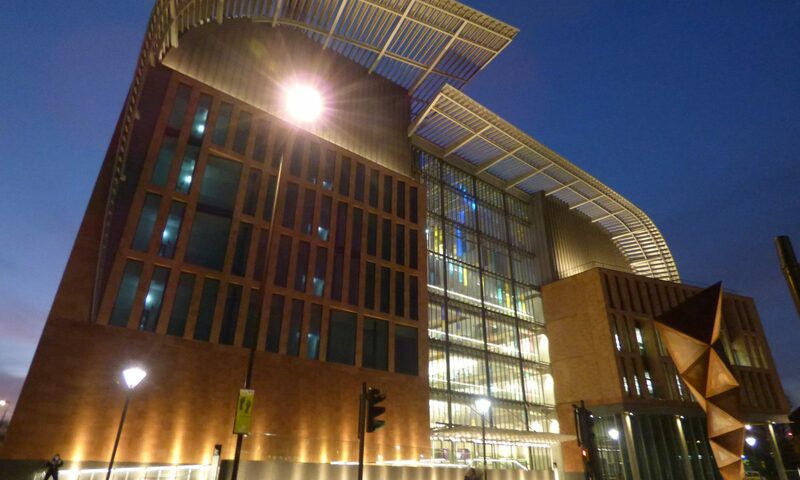 Alex May Arts has been awarded a prestigious art commission to design and create a captivating new digital artwork for permanent installation in the front window of the Francis Crick Institute in London. 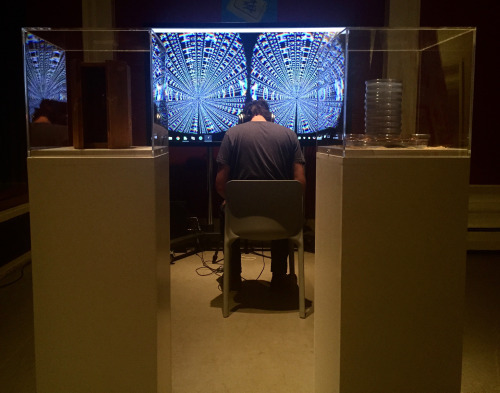 Sequence VR will be at the Imperial College Festival in London on Sunday, May 7th. 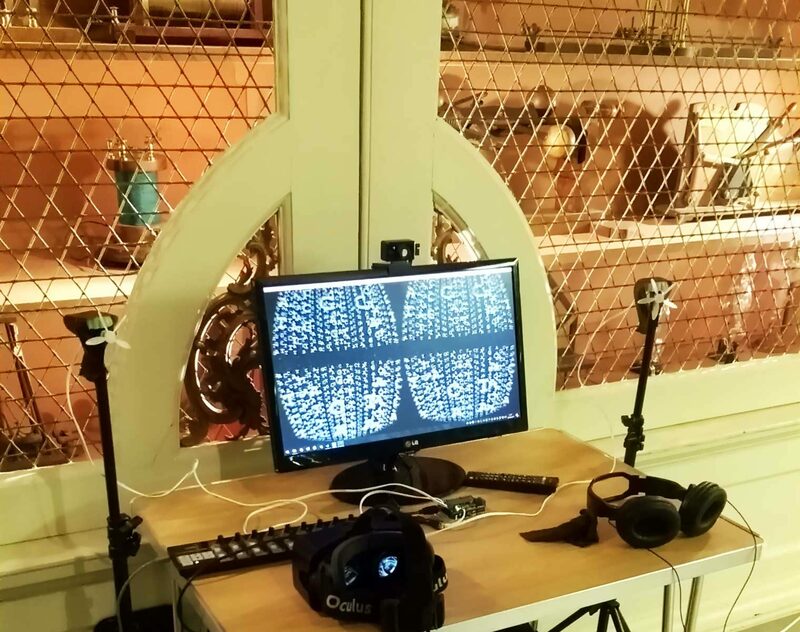 This new version – previously shown at Oxford’s Museum of History of Science (pictured) – features synchronised smells to augment the virtual reality experience. Westminster School of Media, Arts & Design, University of Westminster, Watford Road, Harrow HA1 3TP. The event is free but please book to reserve a space. London LASER 18 hosts Simeon Nelson and Simon Walker-Samuel on their collaborative project, Anarchy in the Organism; Rob la Frenais on Space Without Rockets and Exoplanet Lot; and Alex May on digital creation and preservation. The event will also take in the Signal and Noise exhibition at London Gallery West Project Space, University of Westminster. 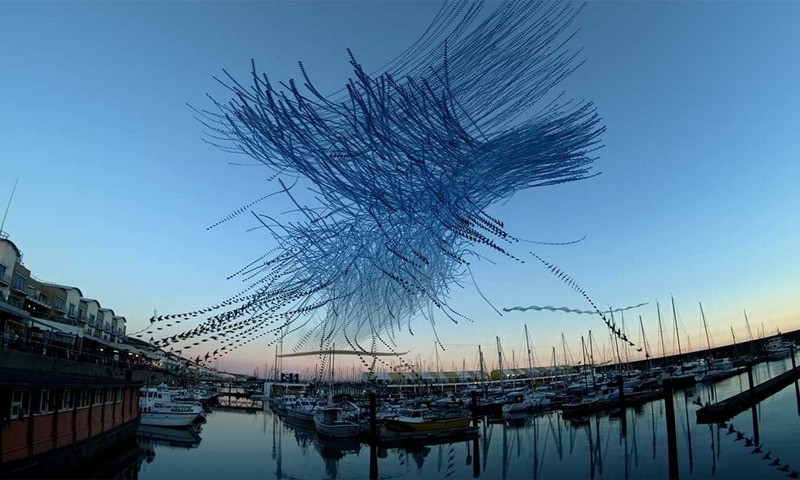 No Violence To The Sky – a new video mapped installation by Alex May is now on show at Level 39, One Canada Square in Canary Wharf, London. 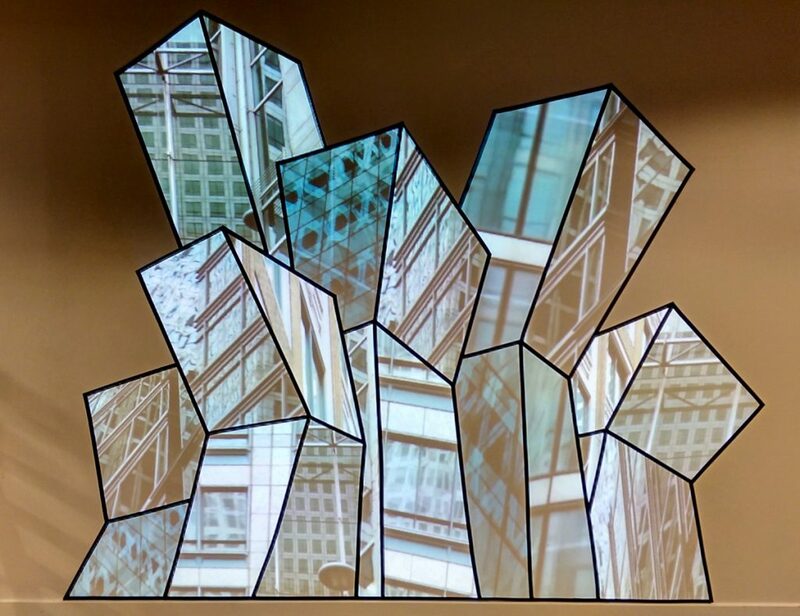 Referencing the writings of the building’s architect César Pelli, the work presents the public facade of the iconic One Canada Square building as seen in reflections in the buildings and environment around it. The installation is on show until (at least) 11th April 2016. “Sequence” is currently being exhibited at the V & A Museum in London, as part of the London Design Festival. A new virtual reality experience has been created using an Oculus Rift, and Alex’s Fugio art software, as part of the ongoing Sequence project using the data and footage from the project. It will be shown alongside a series of objects and artefacts created during the project including live bacteria, and accompanied by a participatory DNA extraction/preparation workshop where artist Anna Dumitriu will be joined by Dr Nicola Fawcett from the Modernisng Medical Microbiology Project. 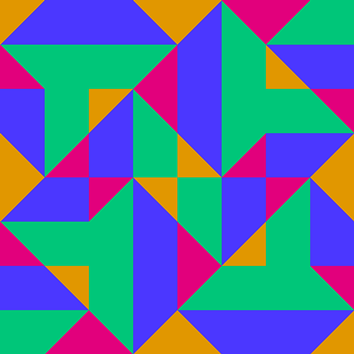 The event takes place on 25th – 27th September 2015. See more information here. Concerns of different generations, tribes and networks who make up digital culture, the challenges and opportunities for making and conserving generative artworks and rapid developments in digital image-making since the late 1960s are among the themes of a symposium on 16 May coinciding with the Art That Makes Itself exhibition at Watermans. Speakers include Frieder Nake, computer art pioneer; Margaret Boden, Professor of Cognitive Science Sussex University; Jim Boulton, digital archaeologist; artists Paul and Daniel Brown; Maria Chatzichristodoulou, lecturer in Performance & New Media at Hull University; Douglas Dodds, Senior Curator at Victoria & Albert Museum; Nick Lambert, CAS chair and Lecturer in digital art and culture; Nico Macdonald, writer on design and innovation; artist and computer art pioneer Ernest Edmonds and artist Alex May. This event is organised in association with the Computer Arts Society. The symposium will be followed by the preview of a new publication; Art That Makes Itself, Brown & Son – Purveyors of Digital Images since 1968. The publication has been designed by Daniel Brown and edited by Bronaċ Ferran, with newly commissioned texts from Grant Taylor, Douglas Dodds, Golan Levin, Jim Boulton, Peter Fowler and Maria Chatzichristodoulou with accompanying artworks and new writing by Daniel and Paul Brown and a foreword by Irini Papadimitriou. The book preview will take place at the close of the symposium. Over the bank holiday weekend the Wellcome Collection ran a four-day event featuring a wide range of performances, exhibitions, and workshops exploring light. Alex took part as a member of the Bacteria Light Lab, with video mapped projections of historical films, and the video art piece (above) he created with artist Anna Dumitriu, featuring high resolution time-lapse video of growing bacteria cultured from the skin of the artists.